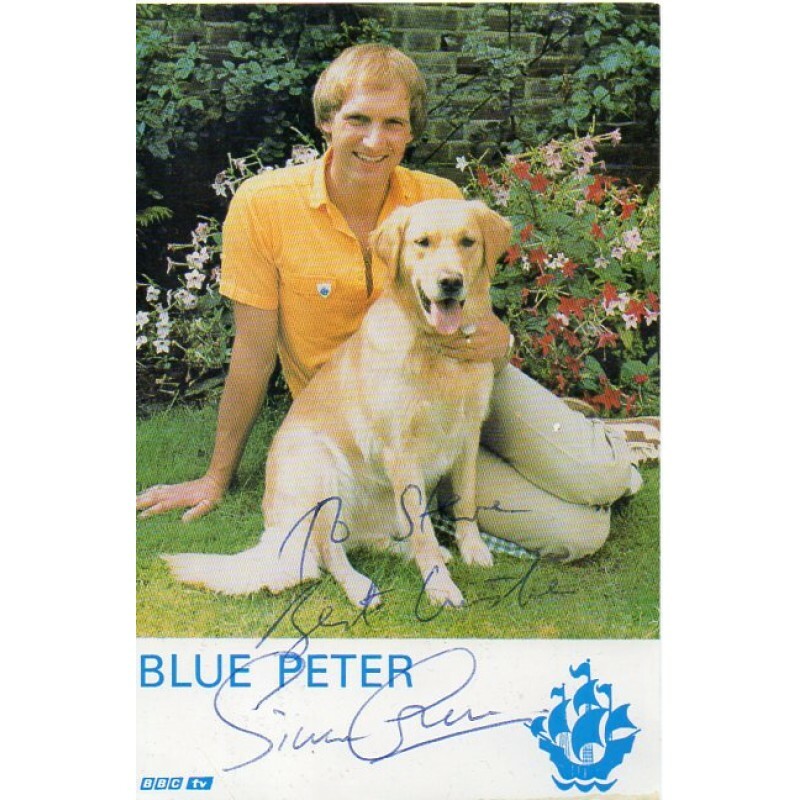 Simon Groom (born 12 August 1950) is a British producer and director. He was a presenter of Blue Peter from 1978 to 1986. 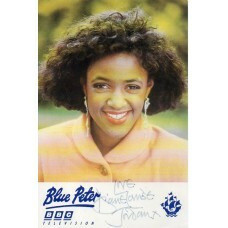 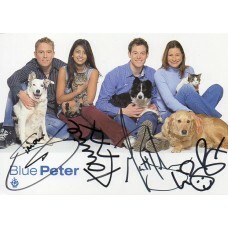 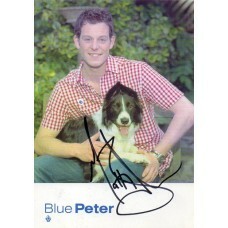 Matt Baker Autograph - Blue Peter - Signed 6x4 Cast Card - Handsigned - AFTALMatthew James Baker MBE (born 23 December 1977) is an English television ..
Diane-Louise Jordan Autograph - Blue Peter - Signed 6x4 Cast Card - Handsigned - AFTALDiane Johnson (born 28 June 1960), better known by her stage nam..
Mark Curry Autograph - Blue Peter - Signed 6x4 Cast Card - Handsigned - AFTALMark Preston Curry (born 27 August 1961) is an English actor and televisi..
Blue Peter Cast Card Signed by 2 Cast Members - Handsigned - AFTALSigned By:Tim VincentStuart MilesThis is a genuine signature and not pre printed.Sig..
Blue Peter Cast Card Signed by 3 Cast Members - Handsigned - AFTALSigned By:Romana D'amunzioStuart MilesKaty HillsThis is a genuine signature and not ..
Blue Peter Cast Card Signed by 4 Cast Members - Handsigned - AFTALSigned By:Konnie HuqSimon ThomasMatt BakerLiz BarkerThis is a genuine signature and ..